Do you need regular and reliable babysitting services on an adhoc basis over weekends or the occasional week night? Welcome to the babysitting club. We are here to make date night a reality. To make peace of mind a given. To make the PTA meetings that coincide at the kids separate schools possible to attend. We are here to take the hassle out of the tediously precarious process of sourcing a babysitting service you can rely on. Of those that apply with us, only 10% get through onto our listing. So yes you can rest assured we are tough as nails and only those with a genuine passion for childcare ever get onto our books. Club | Adhoc babysitting services available in Johannesburg, Cape Town and Pretoria. Easy booking system via our website. Guarantee of service should at least 3 working days notice of booking be provided. Don't worry though, we always try to assist no matter the notice provided, our quickest turn around time from enquiry to candidate arrival was less than an hour, we just like to make sure you get the same staff as far as possible and that especially during high season we can cater to your needs. Provision of experienced, educated candidates who are capable of providing supervisory/custodial care of children for regular occasional assistance over weekend, evening care during the week after 6pm from Monday to Friday or over a weekend. Most of the staff we provide, have a tertiary education which is childcare related (From matric to a post grad degree). All candidates must complete a CPR or First Aid course within 3 months of joining our team, so you know that they can handle medical emergency situations. Sitters4U is not a recruitment agency. We also do not deduct from our teams babysitting rates. 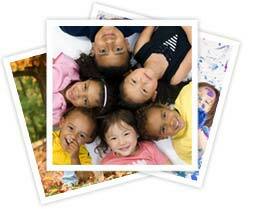 Sitters are generally paid their rates in cash on completion of the booking. We charge separately for our fees for the service that we provide. This registration is valid for 6 months after the completion or expiration of your last booking bundle. If you do not top up your bundle within 6 months of the expiration of your last booking bundle, you will need to reregister the role. A booking bundle includes a certain number of bookings which may be used within the allocated time frame from your first booking date, depending on the service option chosen. Should you run out of bookings or your contract expires, simply ‘top up’ with either a further 5 or 10 booking option. Rates vary depending on the candidate's experience, education level and the number and age of children requiring care, anywhere from R 80 to R 200 per hour. If for example, you have 3 children under 5 years old, or 5 children over the age of 5 years old requiring care, where you are booking a candidate with an NQF8 (e.g. Post grad in education) level education, with more than 5 years of experience, the rate will be R 200 per hour. Double rates are charged on public holidays and from 6 pm the evening before a public holiday. The minimum booking is 3 hours. If you need care for more than 5 children over the age of 5 years old, you will be required to book 2 sitters, the number of children will be divided by 2 and the applicable rate provided in the above table will be paid to each candidate. If you need care for more than 3 children under the age of 5 years old, you will be required to book 2 sitters, the number of children will be divided by 2 and the applicable rate provided in the above table will be paid to each candidate. In order to use our club babysitting services for the first time please click here to complete our sign up form. On receipt of your sign up form, you will be sent an invoice for your selected service option. Return proof of payment to accounts@sitters4u.co.za. On receipt of proof of payment, we will contact our staff on your behalf in order to determine who is appropriately experienced, educated, available and interested in assisting for you for your first and future bookings. We will supply you with the profiles of the appropriately experienced candidate’s profiles to choose from. Select your 2 favorite candidate options. We will confirm the booking via email. *Please note we must receive payment for your chosen bundle 3 to 5 working days before your first booking so that we have time to ensure availability of an appropriately experienced candidate to assist you. *No service will be rendered until proof of payment has been sent to accounts@sitters4u.co.za. *We recommend selecting two candidate’s from those that initially apply to assist you, as your regular sitters. If you require babysitting service on short notice and your most preferred candidate is unavailable, we will first try the second option before sending out application requests. *We try to ensure that you always have the same candidate available as our goal is to build long term relationships between both our candidates and clients and the children. Once you are a club member, to make a booking simply login by using your email address in the login area at the top right hand corner of the website. Once you have logged in click the ‘make a booking’ button that appears next to the login area. Babysitting services are for occasional, evening(after 6pm on weekdays) or weekend bookings only. If you are seeking a full or part time, day time candidate on a regular basis please rather click here to request placement services.